Yesterday was co op day, the day when I get more excited than a kid on Christmas morning. I order a "basket" of produce every other week... What we receive is local, fresh, in season produce. 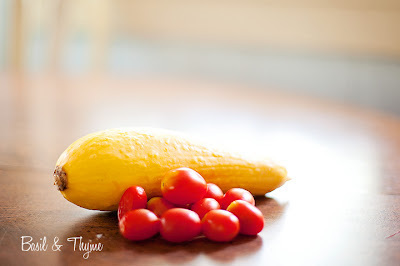 When I got it home and started investigating, I was thrilled to see I had received two large bags of cherries and about five zucchini and three squash, among other goodies. 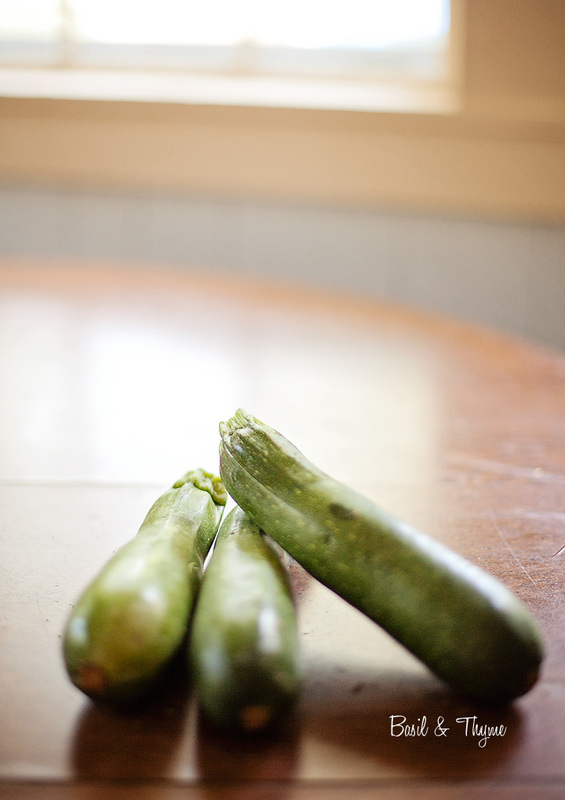 So what to do with these beautiful squash and zucchini before they went bad? I found the solution and it was SOOOO good. 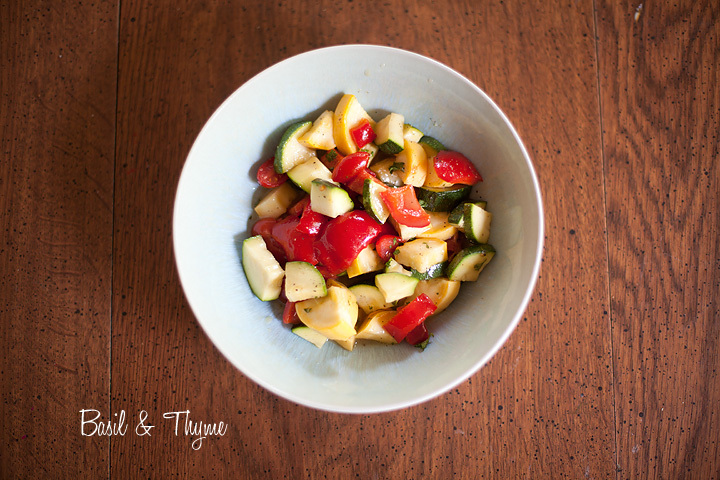 In a large bowl, combine the tomatoes, zucchini, squash, red pepper and chopped parsley. In a separate bowl, whisk together the wet ingredients. Combine and toss. Refrigerate for 20 minutes before serving. Yields 6 servings.